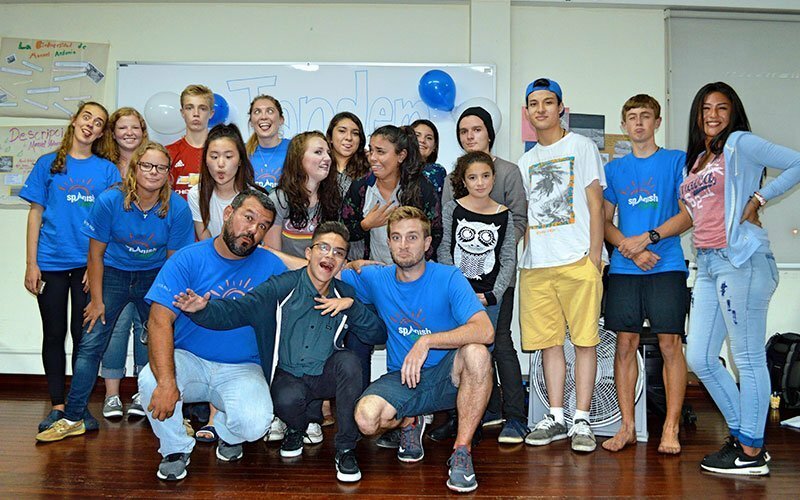 Spanish Camp is an amazing experience where you discover a world of travel, language, and intercultural exchange. You are never too young to start exploring and the Spanish Camp program helps you begin your exploration abroad in a safe and guided environment during your summer break. 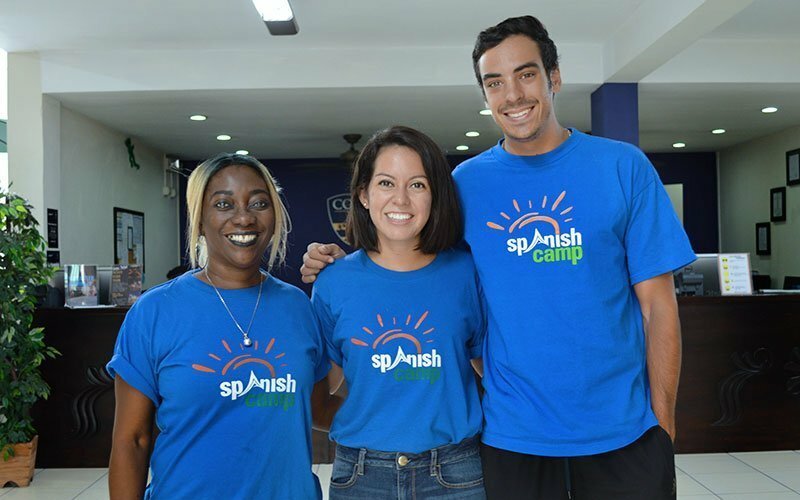 Spanish Camp is a full-immersion experience that integrates the Spanish language into all aspects of the program, including community service, sports, cultural activities, and tourism. You receive 3 hours of Spanish classes per day before heading out to different cultural activities and tours in the afternoon. Activities include museum visits, national park tours, creative workshops, recreational games, and more. 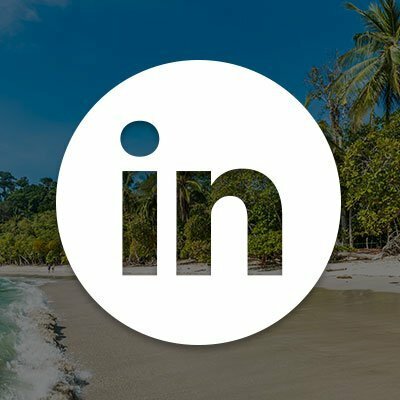 This unique experience helps you develop a better sense of the world and grow into a true global citizen. Spanish Camp is an experience you remember forever! Maximo Nivel in Manuel Antonio is an open-air institute overlooking the clear, blue waters of the Pacific coast. 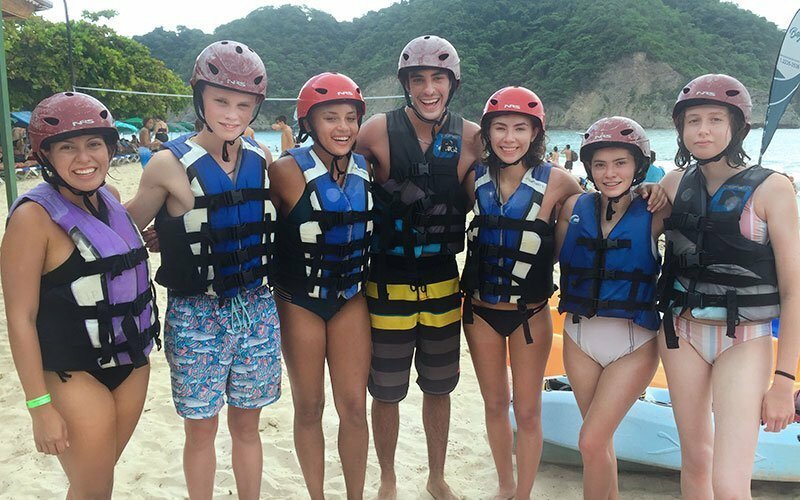 Spanish campers study amidst Costa Rica’s beautiful rainforest and white sand beaches. The open campus has 15 classrooms, a beautiful terrace and lots of common areas, WiFi, computer lab, and snack bar. Campers soak up the sun and the fun with the greatest views in Costa Rica, just minutes from the beach. Maximo Nivel is located in San Pedro, the university district in the capital city of San Jose. The neighborhood offers a great student vibe, lots of cafes, restaurants, and parks. The institute has 15 classrooms, lots of indoor/outdoor common areas, WiFi, computer lab, and snack bar. Spanish campers have their own designated area in the institute just for them. *Participants may join for 1 to 5 weeks. Overall, my experience with Maximo Nivel was amazing, fun, and educational. Both places, San Jose and Manuel Antonio, were a great experience. I loved all the chaperones and my host families made it easy to adapt. I made a lot of really good friends here and I have improved significantly on my Spanish skills. This program let me see the potential I have to learn new things and in progressing in my Spanish speaking. 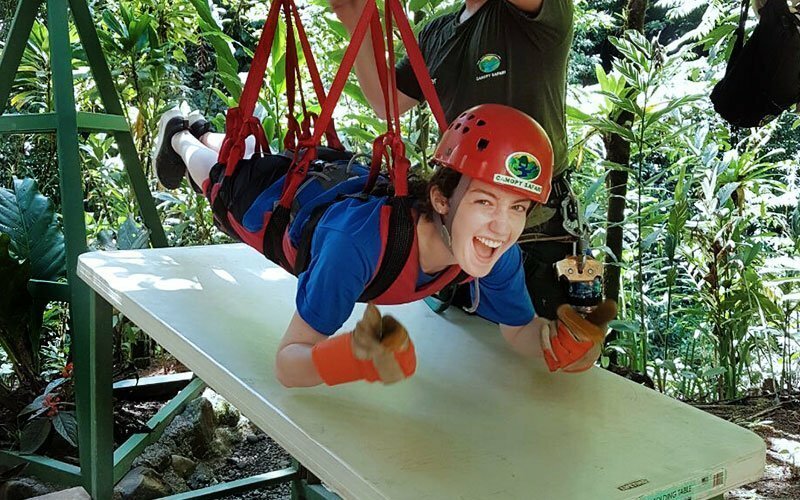 Angus really enjoyed himself in Costa Rica and would like to go again! He had wonderful things to say about pretty much everything. Thanks again for taking good care of him! Campers learn about community service and giving back by getting involved at local schools, communities, and child care centers. Work includes organizing activities with the children, teaching English, and light construction. This is an excellent day to learn more about service to others and volunteering abroad. This excursion takes campers to the Irazu Volcano National Park, Orosi Basilica, and the Hacienda Orosi Hot Springs. Students tour the impressive volcano site and visit other points of interest around the Orosi Valley. A relaxing afternoon soaking in the hot springs caps off the tour, and students enjoy a traditional lunch. Campers experience the original Costa Rican coffee tour to learn how coffee plays an integral part in the local culture and economy. Students learn how coffee is grown, roasted, and processed from bean to cup! Campers learn how to prepare typical Costa Rican food, such as tamales and empanadas in a participatory cooking class taught by one of our Costa Rican host mothers. Campers visit a local miniature golf course where they compete with each other to get that elusive hole in one. On alternating weeks, campers get an adrenaline rush by racing each other around the indoor go kart track! Campers zipline from platform to platform taking in the surrounding rainforest. 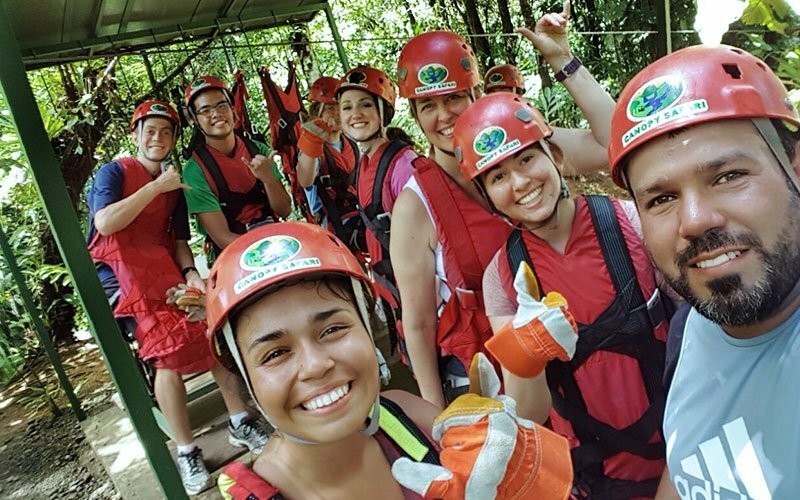 The zipline tour is an exhilarating and safe adventure through lush jungle, green canopy, and across majestic rivers. 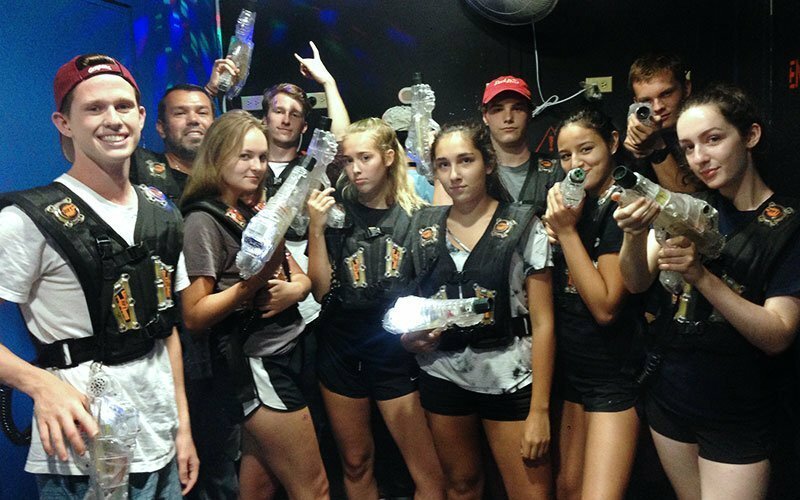 Campers team up for laser tag at a local mall. Later, students explore the mall through a scavenger hunt, where they have a list of clues in Spanish that guide them from place to place. An experienced nature guide leads campers on an informative hike through Costa Rica’s most famous national park. Campers enjoy small beaches, ocean inlets, and see a variety of wildlife. 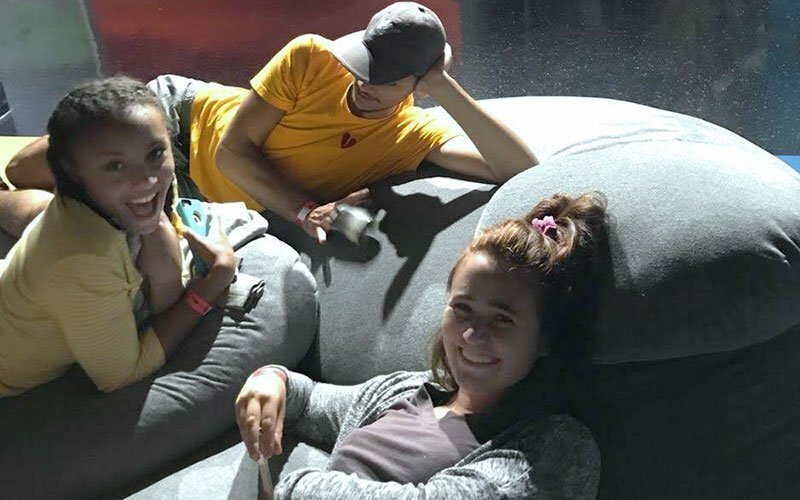 Campers watch movies in Spanish or in English with Spanish subtitles—both are great ways to learn new vocabulary and practice the Spanish language. Campers visit San Jose’s most historic and architecturally-significant buildings and learn about Costa Rica during Pre-Colombian times. This tour immerses students in the country’s rich culture and history with visits to the National Museum and Jade Museum. 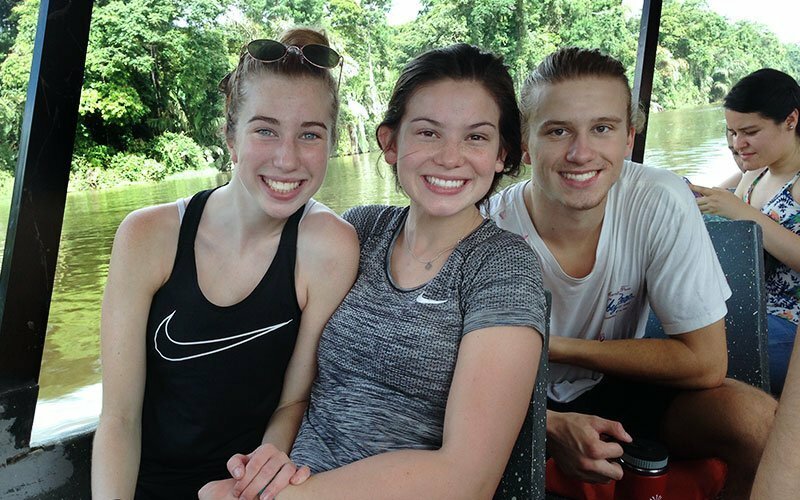 Campers get to experience the lush vegetation and beautiful views of the Orosi Valley while touring several significant pieces of Costa Rican history! 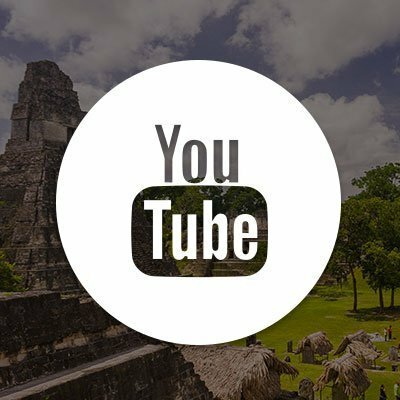 This tour includes a visit to the oldest church in Costa Rica, “La Iglesia Colonial de Orosi,” and the ruins of the neighboring village of Ujarras. Campers experience the fascinating rainforest in Manuel Antonio at night! This the best time to observe and photograph beautiful tree frogs, colorful insects, and other elusive rainforest creatures. 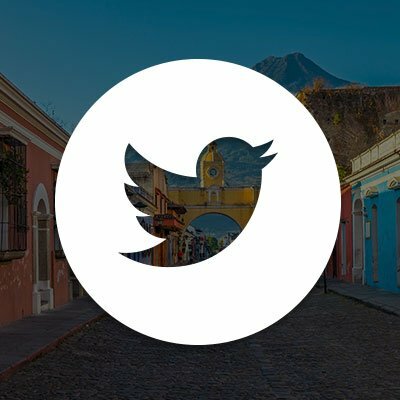 The Ram Luna center is perched high above the mountains overlooking San Jose. From this unique vantage point, campers enjoy panoramic views of the Central Valley and explore ‘Tico’ folklore through traditional dances and marimba music. There is also a delicious dinner buffet with traditional Costa Rican food. A fun and relaxed dance class taught by our local professional Salsa instructor. 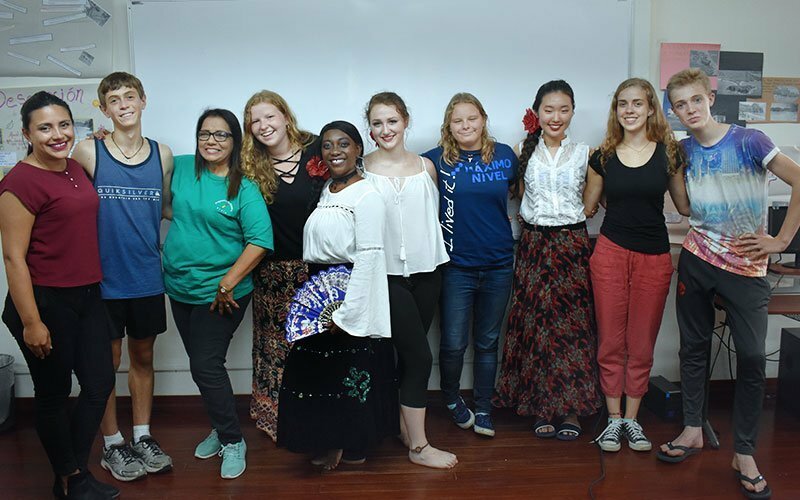 Beyond just Salsa, campers learn other popular Latin American dances, such as Merengue and Bachata. Campers take part in a 2-day introductory “discover scuba” course, taught by a former U.S. Coast Guard diver. The course includes 1 day of safety and equipment training in a swimming pool and a 1-day supervised ocean dive. Note, students can opt out of the scuba course and enjoy other Spanish Camp activities during this time. 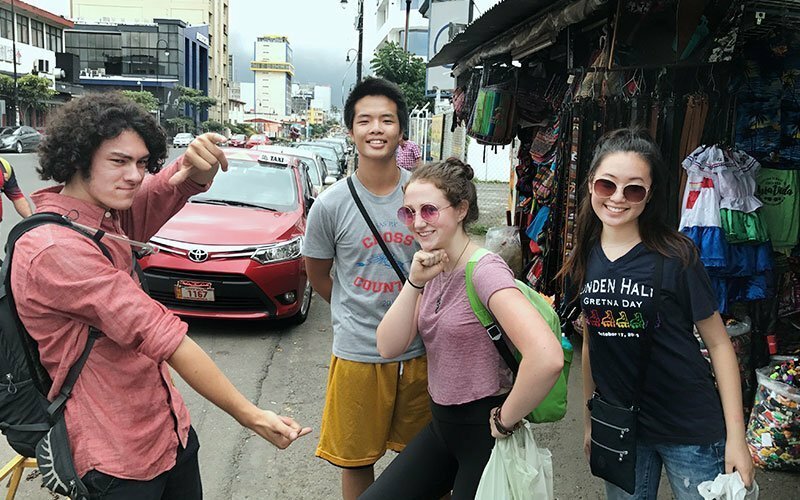 Campers visit traditional markets and local stores to buy Costa Rican coffee, hand-made jewelry, carved wood handicrafts, and other souvenirs for family and friends back home. Campers spend the afternoon at a local sports facility such as an indoor soccer field, trampoline park, or basketball court. Members of the Spanish camp community, including host families and Maximo Nivel staff, join in for a rousing game of soccer, the most popular sport in Costa Rica! Campers spend the day on one of the most beautiful beaches in Costa Rica. A professional surf instructor teaches everyone how to ride the waves! Students also get to spend time body surfing, boogy boarding, and paddle boarding. Less adventurous teens can choose to just relax on the beach and watch the action. 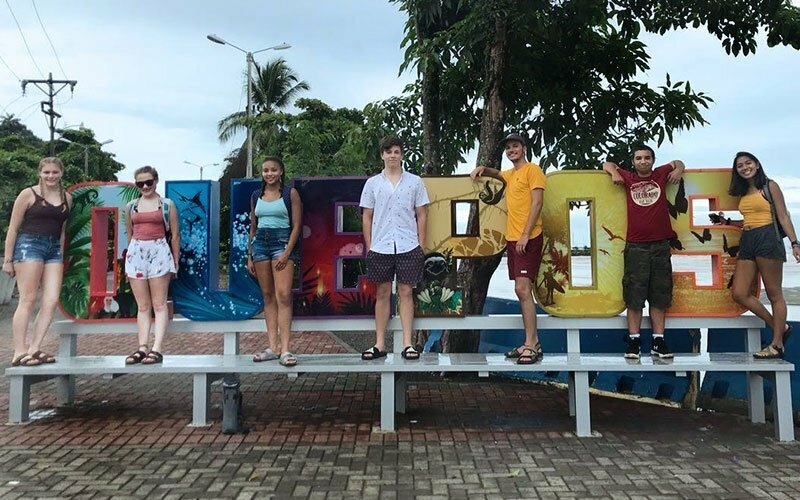 Every day, Spanish campers immerse themselves in the Spanish language while participating in a variety of activities and events around the capital city of San Jose and the beach towns of Manuel Antonio and Quepos. Monday through Friday, you eat breakfast prior to being picked up in private transportation and taken to your Spanish classes. Spanish classes run from 9:00AM to 12:00PM daily. After class, lunch is catered in at the school. In the afternoon, from 1:00PM to 4:00PM, the entire group breaks out for the afternoon activities and tours. In the evening, you return to your host family for dinner and showers, and then get ready for the camp’s evening events. 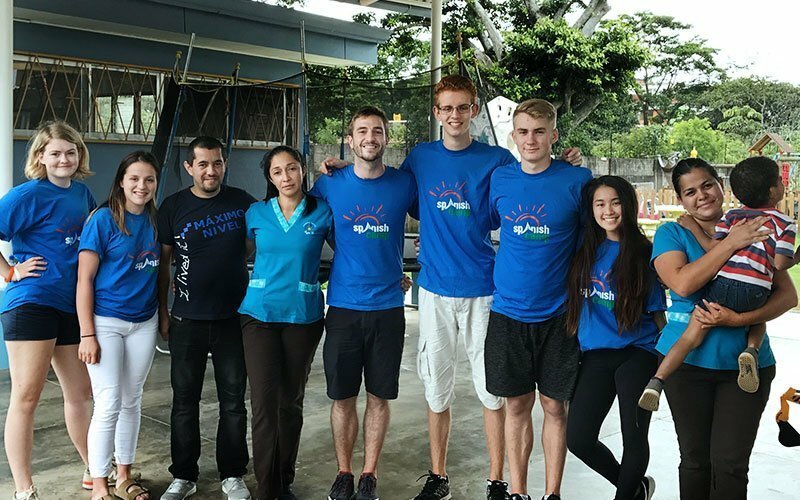 During weeknights, planned activities include salsa lessons, bonfires, karaoke, Costa Rican BBQs, game nights, movie nights, as well as quality time and Spanish language practice with your host family. On weekends, you take part in exciting cultural adventures and nature tours led by our professional guides and chaperones. 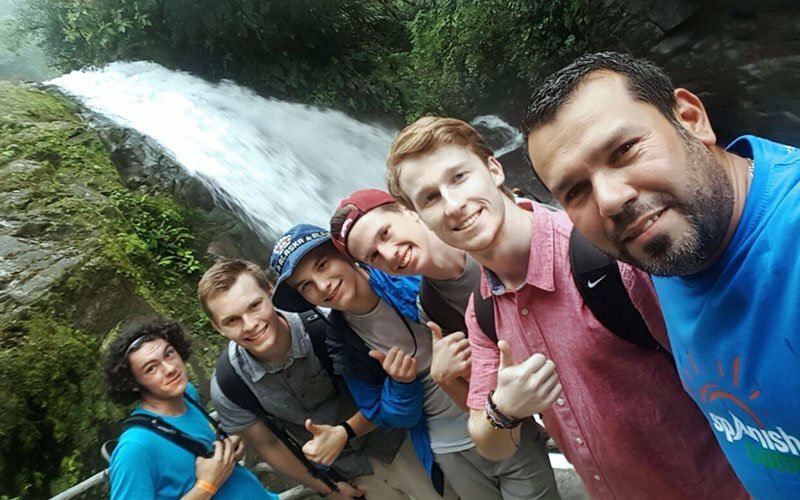 Costa Rica is one of the most beautiful and biologically diverse travel destinations on the planet and Spanish Camp never disappoints! 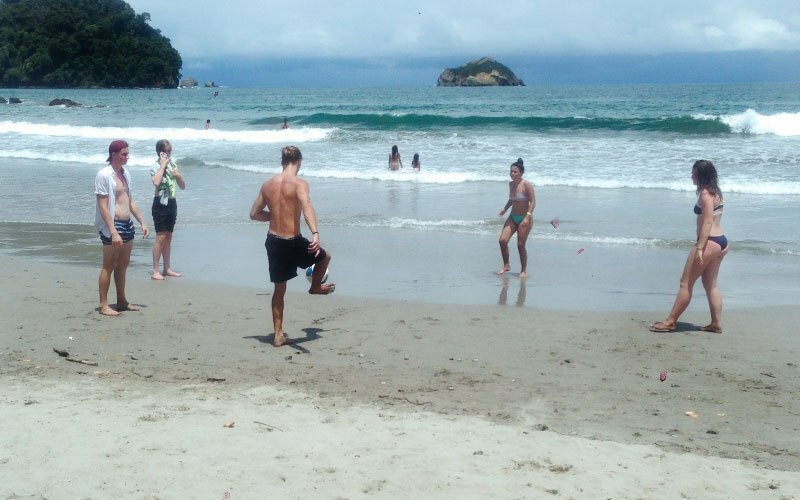 During the Spanish Camp program, you stay with pre-approved, middle class family-stays in San Jose and Manuel Antonio/Quepos. Accommodations at the homes include shared rooms with 1-2 other campers of the same gender and similar age. In the family-stay, breakfast and dinner is included every day and lunches are catered in at the Maximo Nivel institute each day after Spanish class. On weekend overnight tours, you stay at hotels with 1-2 other fellow campers of the same gender and similar age. Chaperones also stay at the hotel. All rooms tend to be simple, but comfortable. Private rooms are available on request. Costa Rica is by far one of the most exotic places on Earth. The country offers unparalleled natural beauty, white sand beaches, rainforests, and a wide range of national parks. Costa Rica is located in Central America and borders Nicaragua to the north and Panama to the south. A chain of mountains—part of the Andean-Sierra Madre chain—runs the length of the country and separates the Caribbean Sea on the east coast from the Pacific Ocean on the west coast. Costa Rica has thousands of miles of gorgeous coastline and copious amounts of sunshine, which makes it the most inspirational learning environment in the world! Costa Rica is a very safe and democratic country. 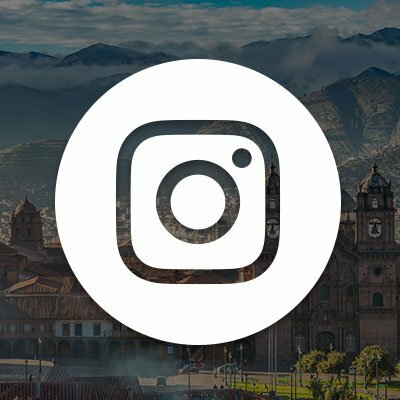 The country is one of the top international tourist destinations in the world and is recognized as the adventure and language learning capital of Latin America. With a population just under 5 million people, Costa Rica is a small country, but it has the most developed economy in Central America and it is one of the leading countries in education and healthcare in the region. The local people (“Ticos”) are known for their peaceful culture and their friendly and helpful nature, and they are always ready to greet you with a smile, give directions to anywhere you need to go, and they love to help you improve your Spanish! 51,100 km² (19,730 square miles). U.S. dollars are accepted in all places of business and are available at most ATMs. Other currencies can be easily exchanged. The Maximo Nivel team is absolutely dedicated to safety and great client service. We understand it can be challenging to let your son or daughter fly off to another country. We pride ourselves on going the extra mile and ensuring great support for every parent. 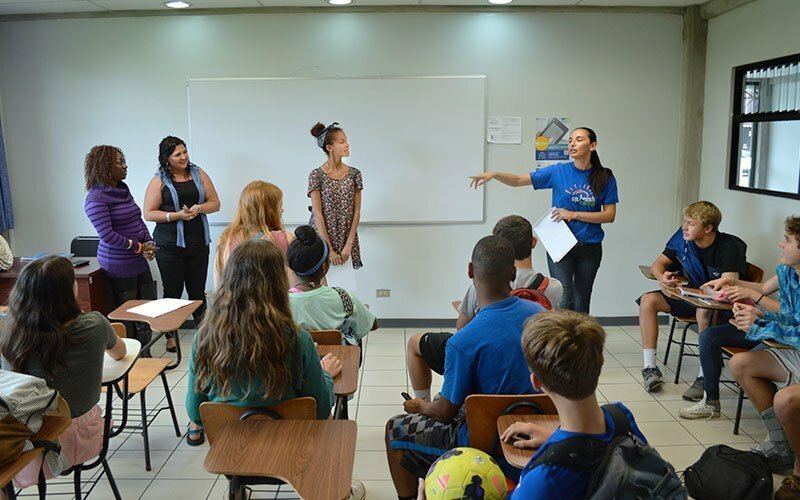 Maximo Nivel’s Spanish Camp program is carefully designed to maximize Spanish language learning and intercultural experience. We work very hard to ensure our Spanish Camp is a safe, inclusive, and respectful environment. 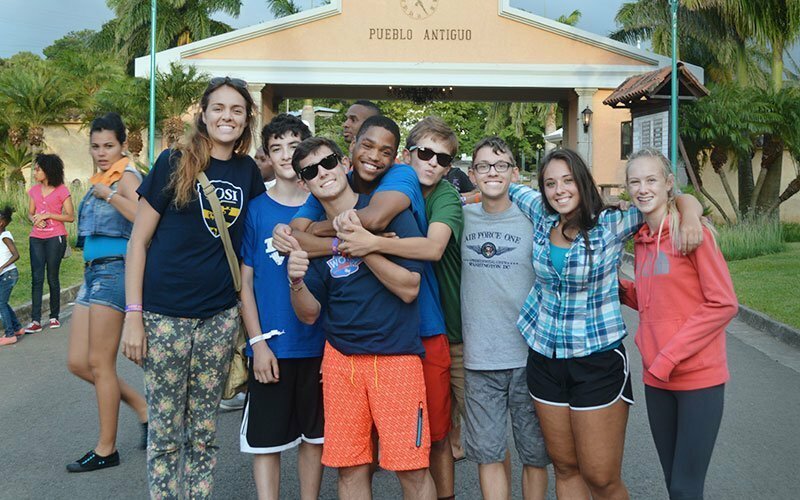 Our Spanish Camp program is fully chaperoned 24/7. 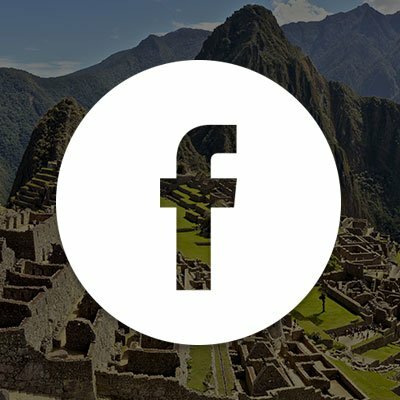 Before packing up and heading out to Spanish Camp in Costa Rica, please make sure you and your family discuss what it means to be far from home and the importance of being a good ambassador for your home country while traveling abroad. We strongly encourage parents to be sure your son or daughter leave their home country with everything on the list below. *Sending packages to Costa Rica via postal services is not recommended. Packages can take 2-6 weeks to arrive and an additional 2 weeks to clear customs. Custom taxes may also be expensive. Ready for a Lifetime Adventure?